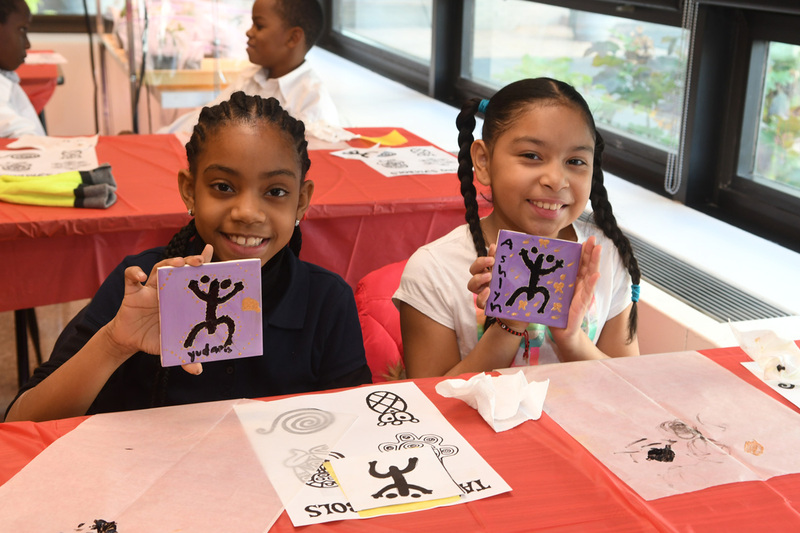 This past Wednesday, February 27, NYBG held its annual Black History Month event celebrating the accomplishments and contributions of African Americans. What in the World is a Herbarium? is not just the name of the exhibition recently opened in the Ross Gallery that explores the role herbaria play in plant research, but was also the question on the minds of M.S. 45 Bronx middle school students. 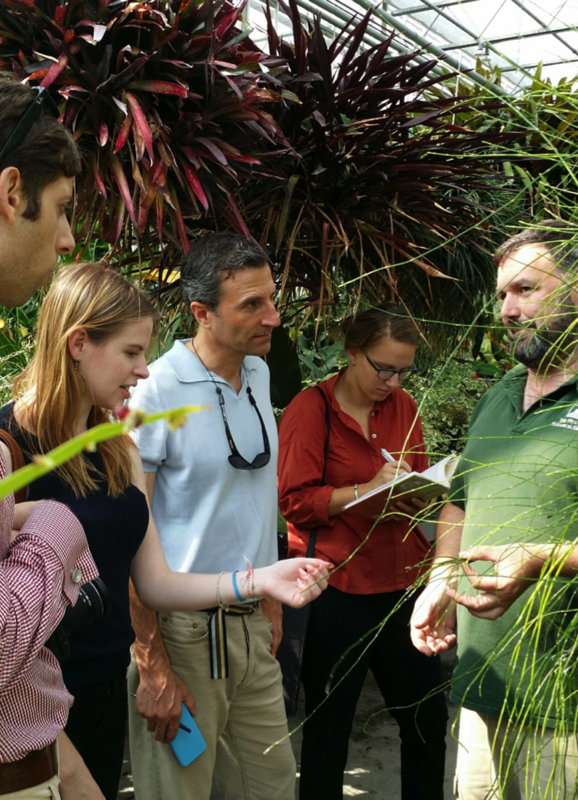 Recently, they had the unique opportunity to take an inside look at it with the Garden’s Director of Conservation Outreach, Daniel Atha. Humanity has reached a crossroads in the effort to combat climate change and protect biodiversity. On March 9, the Garden will host the Humanities Institute’s Fourth Annual Symposium, offering a vital discussion between three renowned experts and the larger public on biodiversity and nature conservation in the era of climate change. Convened by the Humanities Institute and the Center for Science and Society at Columbia University, this symposium will serve as a critical introduction to vital issues about the future of life on Earth, as we ask ourselves challenging questions that need expert knowledge and guidance. For example, what does biodiversity mean in the broader context of 21st-century environmental politics and ethics, and in the specific case of the 2016 Paris Agreement? Is there a common, sustainable future possible in this new period of American isolationism? 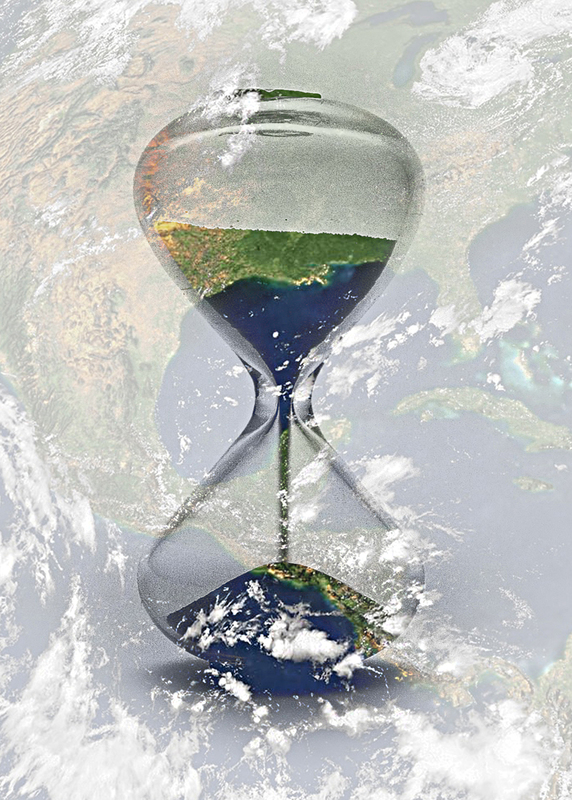 What are the most urgent ecological, political, and ethical laws that need enforcing to ascertain the availability of the world’s natural resources to tomorrow’s generation? Todd Forrest is NYBG’s Arthur Ross Vice President for Horticulture and Living Collections. He leads all horticulture programs and activities across the Garden’s 250-acre National Historic Landmark landscape, including 50 gardens and plant collections outside and under glass, the old-growth Thain Family Forest, and living exhibitions in the Enid A. Haupt Conservatory. For 47 years, 4 months, and 20 days, I just didn’t know enough about pepos. “What’s a pepo?” you might ask. Pepo is the botanical term for the fruit of plants in the Cucurbitaceae (gourd family). Sure, I knew a little about pumpkins, spaghetti squash, butternut squash, zucchini, and cucumbers. 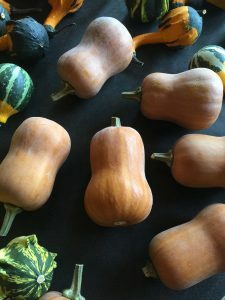 I had eaten Hubbard, acorn, and delicata squash grown, harvested, roasted, and slathered in butter by my brother-in-law, a gourmand who farms in coastal Maine. I even knew that the luffa defoliators my fresh-faced friends swear by are made from the dried fibrous flesh of a gourd relative native to Africa. The little I thought I knew about pepos could never have prepared me for the bounty of beauty I encountered when I made the journey, with a group of NYBG trustees and staff members, to NYBG Board Member Amy Goldman Fowler’s farm in the Hudson Valley one glorious October day. Amy has raised the art and science of growing vegetables to a level unimaginable to those of us who tinker in backyard plots. With the discipline of a research scientist and the passion of an artist, Amy grows a bewildering selection of melons, squash, pumpkins, and gourds (not to mention tomatoes and peppers and who knows what else) on her farm each year. Zakiya Tyehimba was an intern with Bronx Green-Up, the community gardening outreach program of The New York Botanical Garden. This summer I worked as a SYEP (Summer Youth Employment Program) intern for Bronx Green-Up. I’ve been working closely with both Bronx Green-Up and NYC Compost Project hosted by The New York Botanical Garden for the last six weeks. I’m sad to know my time with them is over. I have had so many exciting, eye-opening experiences while working with Bronx Green-Up. One of my most memorable experiences is taking part in the Pepper Project. 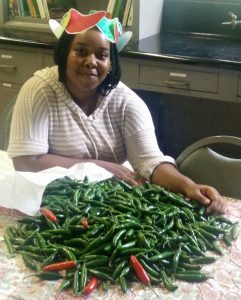 Bronx Green-Up collaborates with Small Axe Peppers and community gardens throughout the Bronx to create Bronx Hot Sauce, and I was put in charge of keeping track of how many pounds of peppers we received. Because of this task, I was crowned the “Pepper Queen.” On my last day, I was even awarded a pepper crown! In celebration of Earth Day, the LuEsther T. Mertz Library would like to acknowledge the march toward greener living. Two recent publications, held by the Mertz Library, highlight the collective and collaborative effort towards a greener world. by Monika Antonelli and Mark McCullough. 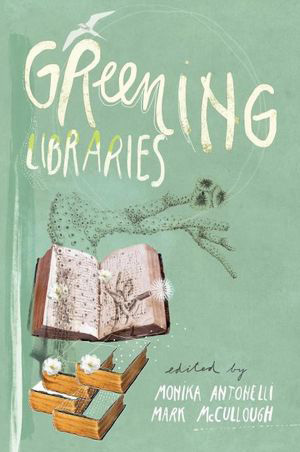 Greening Libraries is a compilation of essays and case studies surveying the different ways libraries are environmentally sustainable through design, outreach, and programming. Libraries in many ways have always been sustainable, but now libraries are trying to work alongside the community for a bigger and greener impact and Greening Libraries provides a peek into what libraries around the country are implementing to inspire change around them. 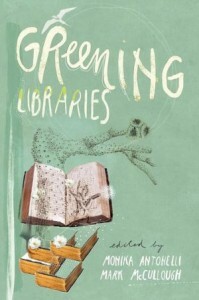 Whether libraries are renovating their branches to comply with LEED (Leadership in Energy and Environmental Design) requirements, providing educational programming, or building partnerships with local organizations that work toward greening their city, these essays highlight importance of the library being at the forefront of the green movement. Claire Sabel is a Junior Fellow at the Humanities Institute of The New York Botanical Garden. The Humanities Institute at The New York Botanical Garden was launched in the spring of 2014 to support interdisciplinary research between the arts and sciences. 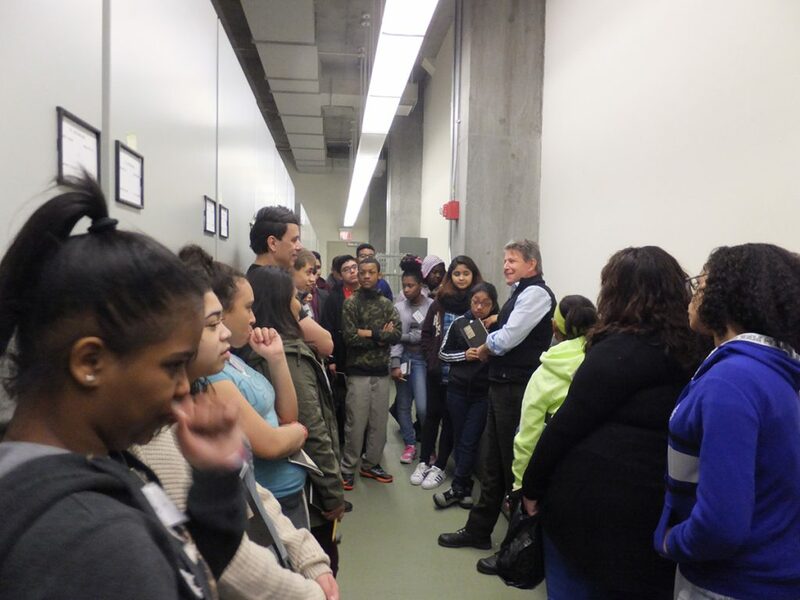 The Institute brings scholars to the Mertz Library to research relationships between humanity and nature, landscapes, and the built environment. This summer, several Fellows joined the Institute to pursue research projects that focus on the Library’s collections, which are some of the best in the world for the history and practice of horticulture, botany, and landscape design. In this series, they explore how visiting living plant collections in the Nolen Greenhouse has informed their work. As Humanities Fellows, we work primarily with inert objects: a printed page, handwritten letters, sketches from field notebooks, an occasional herbarium sheet. Between our various research projects, which you can read more about here, we cover centuries and continents, and almost everything we need to do so is contained within the rich collections of the LuEsther T. Mertz Library (with the occasional help of the Internet). Part of what makes the Humanities Institute so special, however, is its position within a much larger and varied research institution and living museum. Although humanists typically make use of archives and museum repositories, the Botanical Garden has a unique set of special collections housed in the Nolen Greenhouses. Ken Iwuoha worked with Bronx Green-Up this summer, and will be attending York College this fall. 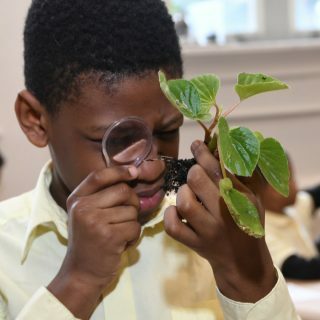 Bronx Green-Up, the community garden program of The New York Botanical Garden, provides horticultural assistance, community organizing and training to Bronx gardens and urban farms. For more information, click here. 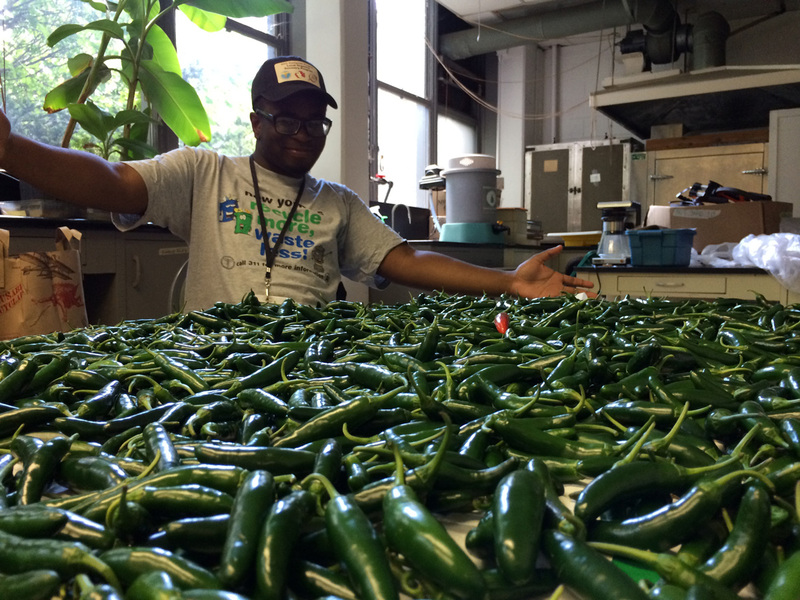 Ken readies a harvest of serrano peppers harvested from Bronx community gardens. The peppers will be made into Bronx hot sauce, a product available at the Shop at NYBG and local Greenmarkets. Allow me to introduce myself. My name is Ken Iwuoha. I am a SYEP (Summer Youth Employment Program) worker for the summer of 2015. I have worked for The New York Botanical Garden for over six weeks, with the Bronx Green-Up Program. As an individual born and raised in the Bronx, I have adapted to buildings, construction, and pollution—the “City Life.” I used to think that planting a tree in front of your house was the best way of being green. After working for Bronx Green-Up, however, my point of view has changed completely. Donating plants and providing services to local community gardens and schools has opened my eyes to the beauty of the Bronx. Ursula Chanse is the Director of Bronx Green-Up and Community Horticulture and Project Director for NYC Compost Project hosted by The New York Botanical Garden. For more information about these programs and upcoming workshops and events, please visit Bronx Green-Up. 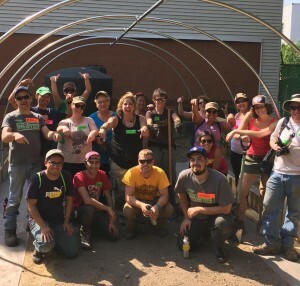 During the dry days of May, In Good Company, a collaboration of values-driven businesses spearheaded by Clif Bar & Company, brought together individuals from across the country and Canada to be put to work in the South Bronx. 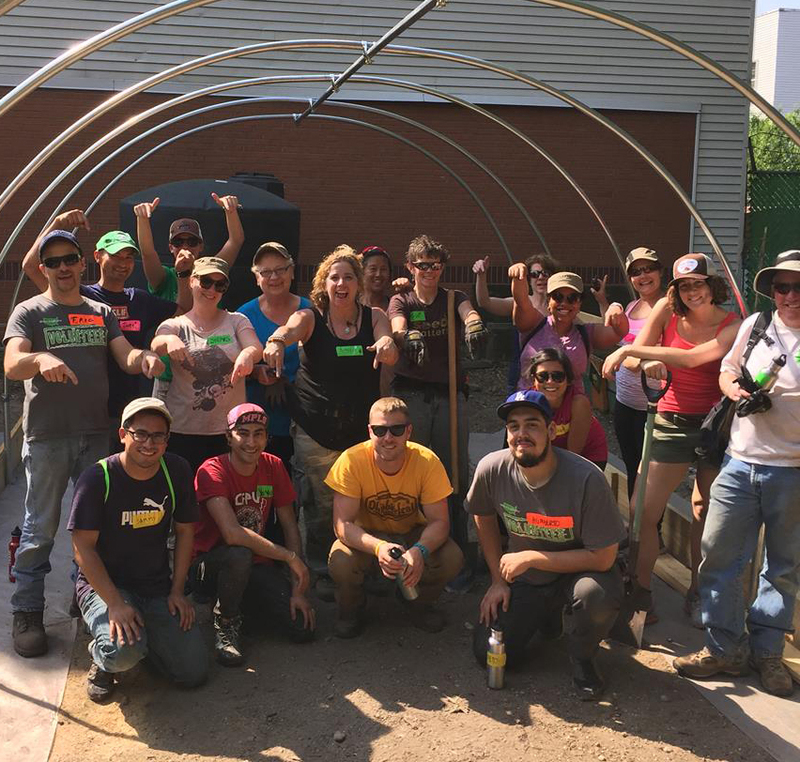 Two week-long service projects in early and late May took place at Brook Park, a thriving community garden bordered by schools and an accessible resource for learning and play in the urban outdoors.